"There is nothing on the alliance with Congress. 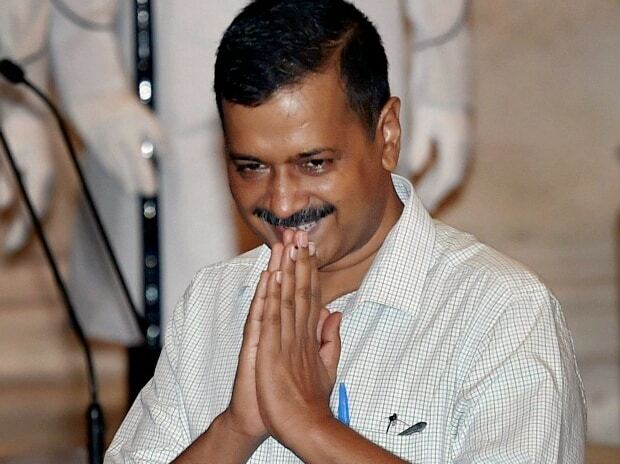 We had one meeting with Rahul Gandhi where he refused to have an alliance with AAP," Kejriwal said. Delhi Chief Minister Arvind Kejriwal on Monday said that there were no talks on an alliance with the Congress as its President Rahul Gandhi has already refused it. The Aam Aadmi Party (AAP) chief made the remark at the Visakhapatnam airport while leaving for Delhi, a day after he attended a mega rally along with his West Bengal counterpart Mamata Banerjee on the invitation of Andhra Pradesh Chief Minister Chandrababu Naidu. On Delhi Congress President Sheila Dikshit's statement that the AAP did not approach the party, Kejriwal said: "If we have talked to him (Gandhi) there is no need of talking" to anyone else.